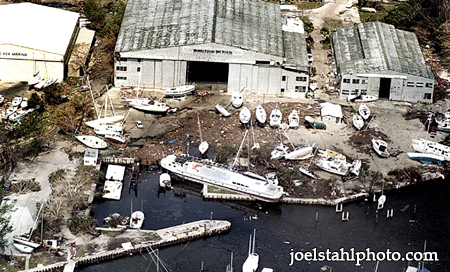 Hurricane Andrew moved through the Southeast coast of Florida on AUG. 25, 1992. 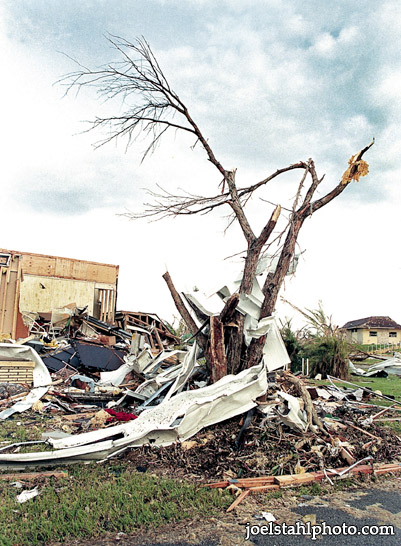 This is a photo showing the remains of the Goldcoaster Mobile Home Park near Florida City in South Dade County, Florida. 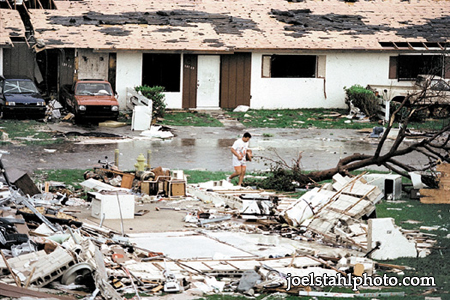 It was taken the morning-after Hurricane Andrew tore through the area on Aug. 25, 1992. Andrew’s fierce winds stripped this tree of all of its foliage and wrapped debris left behind from diminished mobile homes around it. the photo out of the water and left it sitting on dry land on the edge of the dock. 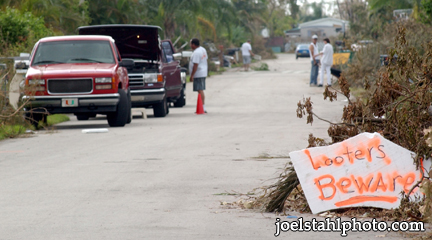 would be looters Saturday Oct. 29, 2005 that may think about entering their neighborhood. mobile home at Paradise Village in Davie, Florida. His mother in-law was forced to gather up some of her personal belongings so she could stay with him at his home because of the severe damage to mobile home caused by Wilma. they will have to stay with friends. 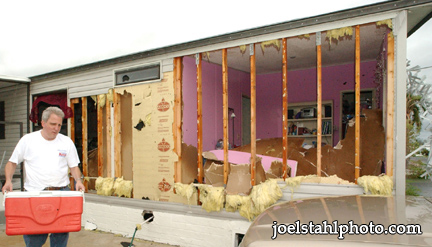 The storm blew out two walls of their mobile home. stay with friends. 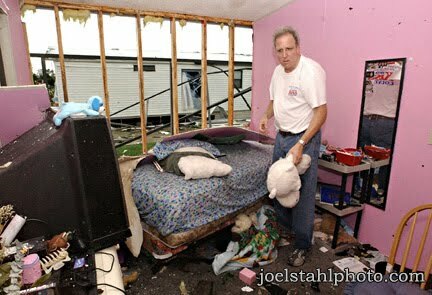 The storm blew out two walls of his mobile home pictured in the background.